For passive projects such as point-of-sale displays, video loopers, and your upcoming Halloween builds, Adafruit have come up with a read-only solution for powering down your Raspberry Pi without endangering your SD card. 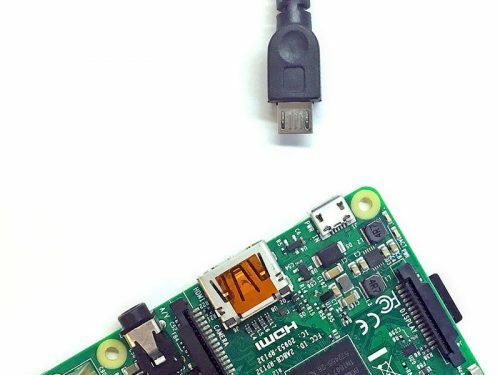 At home, at a coding club, or at a Jam, you rarely need to pull the plug on your Raspberry Pi without going through the correct shutdown procedure. To ensure a long life for your SD card and its contents, you should always turn off you Pi by selecting the shutdown option from the menu. This way the Pi saves any temporary files to the card before relinquishing power. By pulling the plug while your OS is still running, you might corrupt these files, which could result in the Pi failing to boot up again. The only fix? Wipe the SD card clean and start over, waving goodbye to all files you didn’t back up. But what if it’s not as easy as selecting shutdown, because your Raspberry Pi is embedded deep inside the belly of a project? Maybe you’ve hot-glued your Zero W into a pumpkin which is now screwed to the roof of your porch, or your store has a bank of Pi-powered monitors playing ads and the power is set to shut off every evening. Without the ability to shut down your Pi via the menu, you risk the SD card’s contents every time you power down your project. 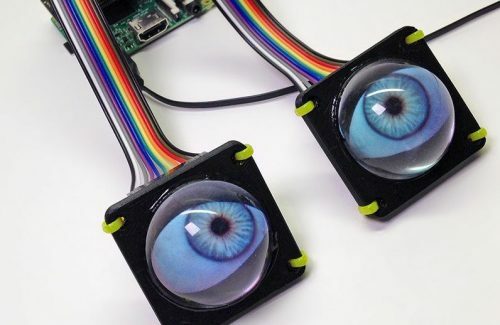 Just in time of the plethora of Halloween projects we’re looking forward to this month, the clever folk at Adafruit have designed a solution for this issue. They’ve shared a script which forces the Raspberry Pi to run in read-only mode, so that powering it down via a plug pull will not corrupt the SD card. The script makes the Pi save temporary files to the RAM instead of the SD card. Of course, this means that no files or new software can be written to the card. However, if that’s not necessary for your Pi project, you might be happy to make the trade-off. Note that you can only use Adafruit’s script on Raspbian Lite. Find more about the read-only Raspberry Pi solution, including the script and optional GPIO-halt utility, on the Adafruit Learn page. 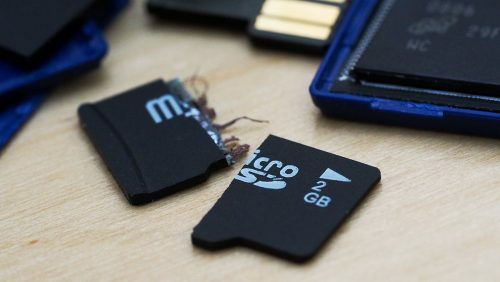 And be aware that making your Pi read-only is irreversible, so be sure to back up the contents of your SD card before you implement the script. It’s October, and we’re now allowed to get excited about Halloween and all of the wonderful projects you plan on making for the big night. We’ll be covering some of our favourite spooky build on social media throughout the month — make sure to share yours with us, either in the comments below or on Facebook, Twitter, Instagram, or G+. Very very awesome feature ! Many thanks ! I waited a such feature for a while, since I unsuccessfully tried some tutorials to achieve this. Simmon, can we expect a such option integrated in a future release of Raspbian (in raspi-config menu) ? yes, this absolutely should be an option in raspi-config! so many raspberry pi projects need this and the solutions in the forum (which also work with the full raspbian and can be toggled on/off by the way) often stop working because something in the distro changed. It boots up Read-only by default, but has a simple “rw” command to remount it Read/Write, and “ro” to make it Read-only again. This is running in a shop environment and plays a bell sound over the paging system to indicate start/end of work day, lunch, break, etc. It has been up and running about 6 months now with no problems yet. To clarify, of course you can wipe the SD card and set it up all over again. However, that’s the only way to make your Pi read & write again after you’ve implemented the Adafruit script. there are better scripts on the forum which also work with full raspbian and can easily be toggled on/off. but it’s very good that this topic gets some attention because this should be something that is included in raspi-config since it’s important for so many raspberry pi projects. Certainly it should be possible to modify /etc/fstab by mounting the root filesystem on another Linux installation to make it boot read/write again, but Adafruit’s script makes a number of other modifications, too. did anyone test this on berryboot? Great feature! Now the obligatory comment: I have an application where 99.999% of the info is read-only. I only need to store a tiny (but extremely critical) amount of state data, and still I need to be able to pull the plug to turn off. Any ideas on how to safely manage that? I think for mass-produced headless devices shutting down via any sort of menu option is a nonstarter. People are going to pull the plug in order to shut down no matter what. there are solutions on the forum where /boot stays writable. for small amounts of data this would be enough. It’d be safer to use a separate (small) partition for the writable data, so that even in the worst-case scenario of the entire partition being corrupted, the Pi would still remain bootable. For added robustness, you could even have an init script which reformats the writable partition if it’s been accidentally corrupted. Incorrect. It’s even stated in the article you can use a GPIO pin to reverse. readonly os has been requested lots of times. I used the technique in the link below recently. It is effective and reversible. I don’t understand why this method is better? 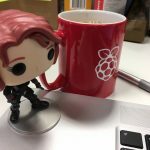 Did you use this approach on the Stretch/ latest Raspbian? I cannot for the life of me get it working correctly on a pi3 with stretch lite. reduce the writes to the drive by storing any small changes to compressed ZRAM, but write the logs/data with a rysnc? 10 min interval (configurable of course) would reduce the risk of losing the entire card…so if power loss would only lose that interval of updated data. I wish this can be done not just on stretch lite. For a future release, i think both ideas should be implemented, reversable and permanent read only modes. I wonder if any of the people who commented about reversibility actually studied the script. It does most of the obvious things (plus a few I hadn’t thought of) and looks OK for its intended use, but it UNINSTALLS a number of packages. It wouldn’t be hard to write a script to reinstall, but then it isn’t that hard to shutdown properly, and not much harder to build a simple hardware solution which does an orderly shutdown if power is removed (obviously needs a short term storage system). With a slight modification to the script perhaps this could be tog-able (RO/RW) with a couple of header pins. This is very useful. I have just had a weather-station server been down with a scrambled file system after a power outage, and I’ve also had problems with other systems that I’d like to just keep running all the time. Prior to this, I did most of what this script does manually, so this turned out to be very convenient. The script here worked great for me, starting with a fresh install of the most recent Raspbian Lite. Although it is irreversible in the sense that I can’t easily get things like cron and other things back, the system does allow me to re-mount the file systems read-write for when I want to make smaller changes, so I don’t have to pull the SD card and edit it on another machine. Is it possible to use this image in a battery powered GPS logger? The idea would be to run a logging script on the pi, run power from a powerbank and write to an external usb. Or does this just transfer the corruption problem to the USB drive? Read only from the SD chip seems like an excellent idea for the reasons given. However, there should be another option where writes can be made to a USB storage device. Weather stations, cameras, security sensors… should protect the OS on the SD from power failures but the logs on USB devices could withstand an abrupt end or programmed to add to the existing file to not lose any data. I’ve not looked into it, but I would have thought that it’s pretty easy for the user to make an external drive writeable even if the system drive is read-only; in fact, it may well be the case that external drives are writeable by default in this system. If I use this scripts I loose NTP time. Why is that. I need to have the correct time and date as well. How can we put time back ? I installed this on a Raspian Stretch Lite version. One I install this Read Only script, the video looper fails to alunch. Diffinf a little deeper, I see that the video looper uses the Supervisor service to autostart and that apparently the Supervisor service is killed by the Read Only process. Any thoughts or ideas how I can get these two to play nicely? I have images of my solution immediately prior to the running of the read only process if anyone wants to give it a go.